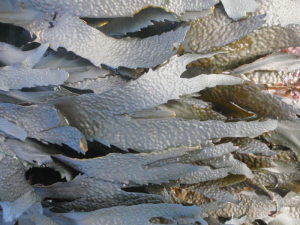 Observation - Fucus serratus - UK and Ireland. Description: Green/brown seaweed. The fronds are edged in tooth-like points. Some frond are covered in small pimples. Green/brown seaweed. The fronds are edged in tooth-like points. Some frond are covered in small pimples.